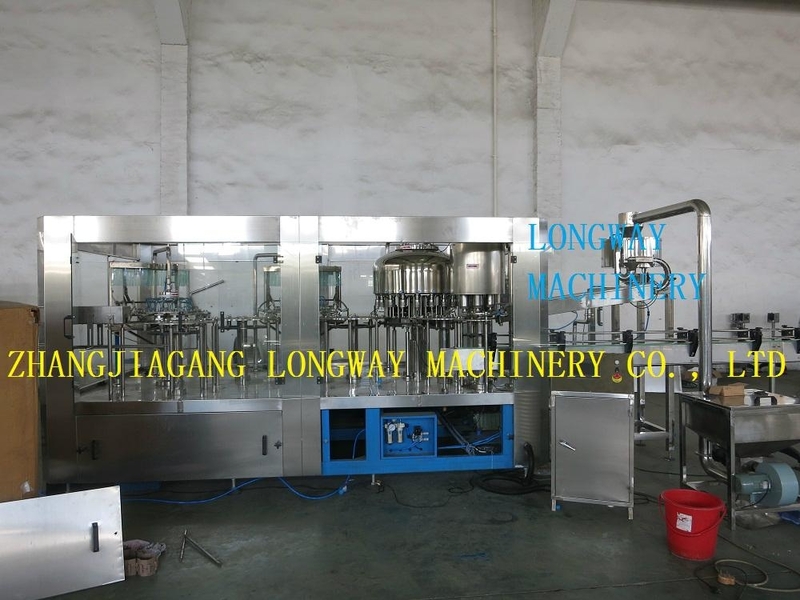 Longway's mineral water bottle manufacturing plant are specially designed to fill non-carbonated drink such as still water, flavor water, & wine in any shape 200ml to 2250ml PET bottles or glass bottle with screw caps, pressure caps or crown capping. Monobloc rinser filler capper design Water filling machine, drinking water filling machine,pure water machine. Specification: 1. Rinsing empty bottle, filling, and capping functions are integrated in one system, fully automatic synchronized working. Bottle travels on neck to neck from in-feed till out-feed resulting scratch free movement of bottle. 2. Pressure filling nozzles deliver fast, efficient, and accurate dispensing with minimal dripping and leakage. 3. No Bottle No Filling, no caps no capping, no caps auto stops. When bottle jam auto stop, machine accident auto stop. Open the window when machine running, machine auto paused. Heavy duty stainless steel filling pump & rinsing pump. Food grade 316L or 304stainless steel contact parts, smooth & fine Polish, no dead angles. 4. Adopted first class component from Mitsubishi, OMRON, SIEMEN, With PLC, invertors control, touch screen, sensor, switch and other electric parts 5. Machine and cable arrangement designed according to CE standard and all safety standard.